(Jacksonville, Florida) We'd like to thank the Gary Sinise Foundation for their unwavering support of America's Veterans. Their work building smart homes for disabled veterans and sending families of the fallen to Disney World shows amazing heart and dedication. We'd also like to thank them for counting on PM1's Full Event Production capabilities for their recent events in Jacksonville and Pensacola during their Florida tour. 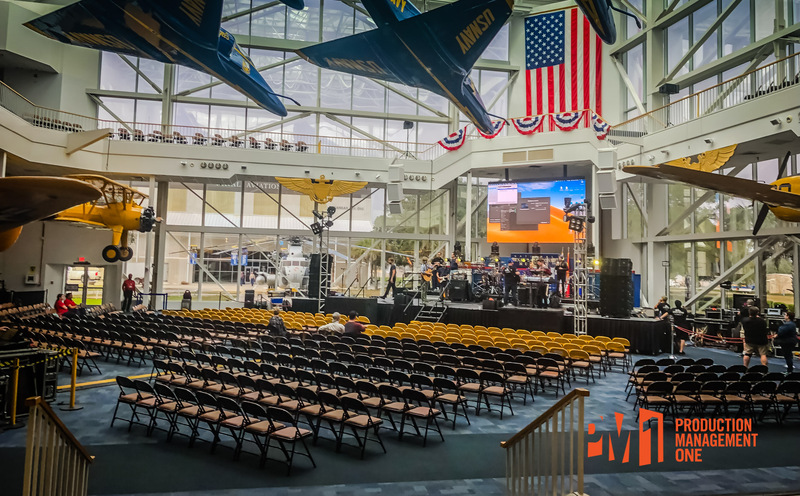 PM1 combined staging, lights, and sound for the Lieutenant Dan Band's concerts at the Naval Air Stations in each city.